Agriculture Minister says PA is not peace partner, demonstrators outside home of attorney general attack democracy and rule of law. 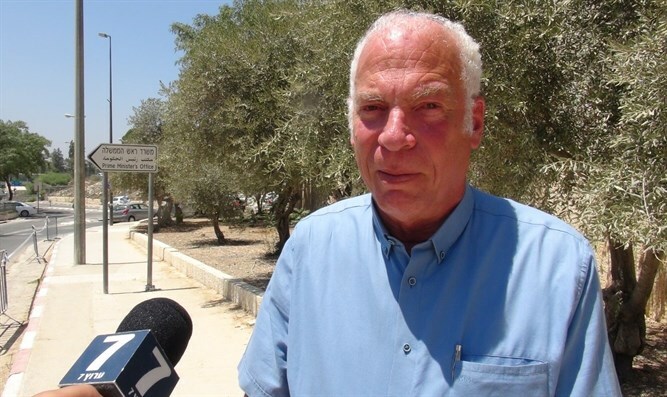 Agriculture Minister Uri Ariel spoke on Sunday of the attempts by the Trump Administration to promote peace talks between Israel and the Palestinian Authority, as well as the ongoing demonstrations outside the home of the attorney general. "We have no partner on the other side," Ariel said of the efforts to restart peace negotiations. He proposed that "economic peace between Israel and the Palestinian Authority and neighboring countries, such as Jordan,Egypt and other countries, can be promoted. It's possible, and we know how to do it." He said US efforts would continue until President Trump realized there was no chance for a political peace between Israel and the PA. "The Palestinian Authority informed the American delegation that it prefers not to come and that there will be no negotiations because it does not see any benefit to be derived from coming to negotiate. There is an alternative, and it is economic peace." Minister Ariel slammed Defense Minister Avigdor Liberman and Prime Minister Binyamin Netanyahu's plan to build a fence between Yatir and Arad in Judea. "You have to find an alternative such as a 'smart' electronic barrier, and not a ridiculous fence that inappropriately sets the political border of the State of Israel. I hope the Security Cabinet adopts the solution of having a 'smart' barrier there to prevent the entry of unwanted people and terrorists into the southern Hevron hills." Ariel accused the leftist activists who have been demonstrating outside the home of Attorney General Avichai Mandelblit for the past few months of being anti-democratic. "What people are doing there is a terrorist attack on democracy, nothing less. Those who stand under that terrible sign, 'Netanyahu is guilty until proven innocent,' simply do irreparable damage to Israeli democracy. These demonstrations must stop, and the sooner the better."